The multi-functional bugaboo Fox breezy sun canopy provides sun protection, head-to-toe mosquito protection and extra ventilation on hot sunny days. Highly durable fabric is water & oil repellent and provides UPF 50+ (excl.integrated mesh panels) while fine mesh lets cool breezes through. A zip-up window allows extra ventilation and easy access to your child. 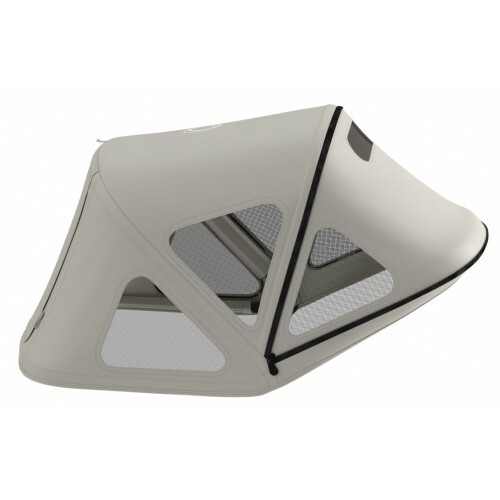 Position the canopy to ensure your child is protected throughout the day. Need extra shade? Our integrated pop-out sunshade has you covered.